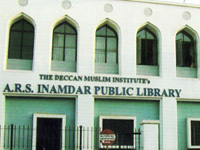 Deccan Muslim institute is one of the old and best pune public library and free reading room – dmipune. The DMI is a registered charitable trust duly registered under the Bombay Public Trust Act 1950. It is a 96 years old institute located in camp area of Pune city catering to the educational needs of the society. The institute is managing a well maintained "A" grade Public Library & Free Reading Room recognized by the Directorate of Libraries, Govt. of Maharashtra, Mumbai. "The more that you read, the more things you will know. The more that you learn the more places you will go." Books are a wonderful influence in one's life. The reference books in the public library or novels that you curl up in the night enrich our lives and help us become the people that we are. Apart from the libraries of the particular institutes, various public libraries have also come up to serve the needs of the educated. 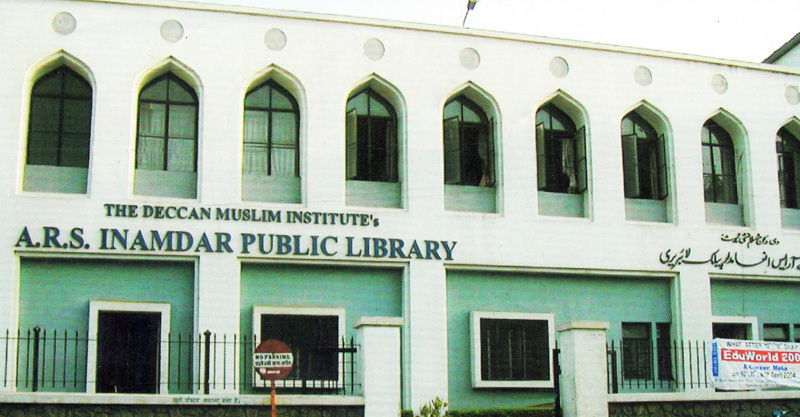 The ARS Inamdar public library not only allows the members to borrow books or other resources, but also provides reading rooms where they can study peacefully. The library encompasses over 40,000 books in English, Urdu, Hindi, Marathi, Arabic & Persian languages coupled with about 81 magazines. Many leading national periodicals and journals are subscribed to in addition to a rich reference collection. The library has a rich collection of books on literature, management, information technology, economics, international business, fiction, non-fiction, history, competitive exams, medical, health, glamour, interior designing, religion, law, engineering and allied areas. The library has one of the finest collections of videos and CDs comprising of national and international titles. The video resource centre helps to enhance inputs given by our members and make learning a more enriching experience. The library has separate children's sections and a free reading room facility that is open for all irrespective of caste, creed and religion. 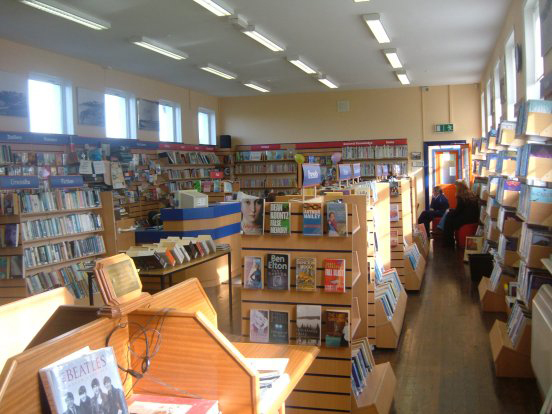 The library also provided books on loan basis to various schools. In the year 2005 the library has received "Adarsh Library Award" (Ideal Public library Award) at state level from the Maharashtra Rajya Granthalay Sangh. Again in the year 2010 the Institute has received "Bharat Ratna Maulana Abul Kalam Azad" award for "National Integration and Social Work" by Pune Municipal Corporation.